Odahingum (Chippewa for rippling water) is one of the higher ups of the Ponchos, the group of rogue Penitatas who wants to end the slavery ring. 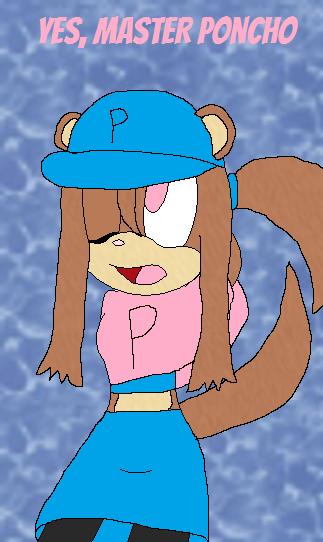 She is a lot like Neera Li from Freedom Planet, never questions Poncho's orders and always following them to the letter as well as having a big, lovable oaf beside her. The Poncho's HQ is in the ruins of Yu-Song on Pandaria. Base was made by RannaBases of DA. With this, this means the Otters are back from extinction.